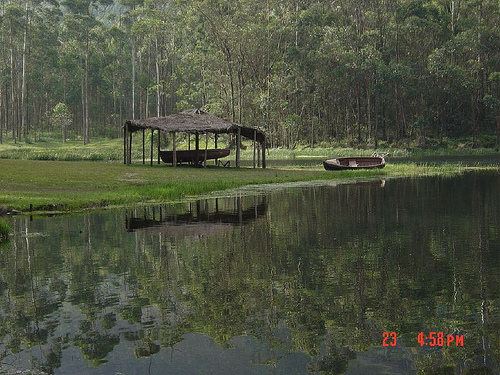 Devikulam Lake, also known as the Sita Devi Lake, is a spot of unsurpassable scenic beauty. The sparkling crystal clear waters, the tall trees and flowering shrubs on the banks and the twittering songbirds make it an ideal picnic spot. Besides being sacred due to the legend involving Goddess Sita, the lake is famed to have immense therapeutic properties as well. This is because of the mineral water fountains and natural springs from which curative minerals gush forth with the water. According to legend, the goddess Sita Devi of the Ramayana epic bathed in the beautiful Devikulam lake waters surrounded by lush, green hills, now named Sita Devi Lake. The lake draws tourists not only because of its sacredness but also for the curative powers of its mineral waters. 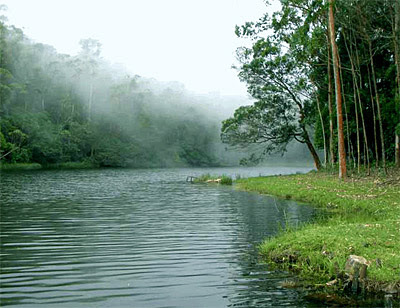 Devikulam is located at an altitude of about 1000 meters from sea level and at a distance of 13km south west of Munnar.